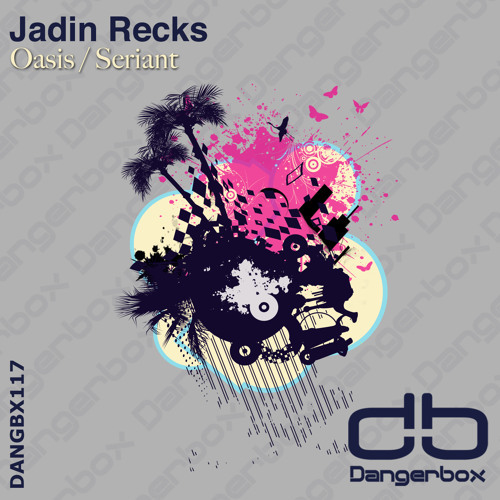 This will be Jadin Recks 3rd release on Dangerbox and it is a floor slamming ep. Recks gives us a two tracker filled with excitement and energy. Although both tracks have a very similar summer vibe to them, they differ from one another in melodic composition and emotion. This is the good ol' tech-house sounds fused with todays rhythms of club. You can't help but dance when you hear Jadin Recks tunes. Oasis is more subtle with its approach of introducing itself as a progressive tech house tune. It's really hard to pin down what genre Jadin Recks produces because it consists of a lot of style diversity. It's a blender of good categories which is exactly what we like at Dangerbox. Seriant is hypnotizing with it's deep sub kick and glitches of melodic shuffle. The track leads you into a wonderful breakdown as the bass drowns out your hypnosis and brings you to a state of an enhanced progressive genre.